THE Perth Redbacks had a night to remember at Lakeside Recreation Centre on Friday opening Week 2 of the SBL season with impressive men's and women's victories. 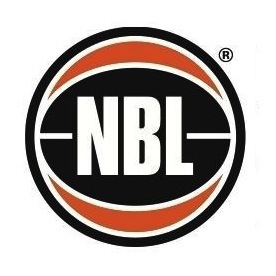 The women's SBL action on Friday night saw the Perth Redbacks stun the Lakeside Lightning with a 68-36 victory at Lakeside Recreation Centre while the Perry Lakes Hawks beat the Cockburn Cougars 81-74 at Wally Hagan Stadium. The men's Friday night matches for Week 2 then saw the Perth Redbacks also beat the Lakeside Lightning 107-104 at Lakeside Recreation Centre and the Cockburn Cougars beat the Perry Lakes Hawks 107-101 at Wally Hagan Stadium. The women opened up the second round action and coming off making last year's grand final, Lakeside was desperate to make up for a disappointing two-loss first weekend, but the Redbacks weren’t having any of it. Perth's women might have only won two matches in all of 2014, but it is an emerging line-up and they put together a remarkable first half defensively on Friday night holding the Lightning to just nine points in total, and two points for the second quarter. The Redbacks still outscored the Lightning 36-27 after half-time to win impressively by 32 points and to now leave Lakeside winless from three games so far in 2015. Gabby Clayton led the way for the Redbacks with 15 points, six rebounds, five steals and two assists. Lauren Hall also contributed a double-double with 14 points and 11 rebounds while Jessica Jakens finished with 13 points, six boards and four assists. Alix Hayward added eight points and eight rebounds, and Lori Ashworth seven points and four boards. It was a tough night for the Lightning as they finished the game with 26 turnovers, 19 fewer rebounds and horror shooting percentages of 15-of-63 at 23.8 per cent from the field and 3-of-26 at 11.5 per cent from three-point range. Amanda Pether top-scored for Lakeside with 13 points while Ashleigh Grant added eight points and 11 rebounds. The Hawks were the other women's winners on Friday night beating the Cougars by seven points in a contest between two teams hoping to be right around the mark this season. Lauren Jeffers led Perry Lakes with 19 points, eight assists, three rebounds and three steals while import Kassi Conditt was impressive with 16 points, nine boards, three steals and two assists while shooting 8-of-14 from the field. Mia Satie also had 15 points, four rebounds and three assists for the Hawks with Megan McKay contributing nine points, 11 rebounds and three assists. Cockburn playing-coach Deanna Smith again did all she could to lead her team on and off the court finishing with 27 points, six rebounds, five assists and four steals. She might have only shot 4-of-14 from the floor, but got to the line plenty and converted 16-of-18 at the stripe. Taryn Priestly added 15 points, four boards and four assists off the bench for the Cougars with Katie Loberg contributing 10 points and five rebounds. The Redbacks men then backed up the good work of their women to start the night at Lakeside with a come from behind three-point win over the Lightning. Lakeside led by three points heading into the fourth period, but Perth came home strongly to win by three. Marshall Brown had a remarkable game for the Redbacks finishing with a massive 48 points to go with seven rebounds, two assists and two steals. He shot 17-of-31 from the field, 7-of-15 from downtown and 7-of-10 from the free-throw line. 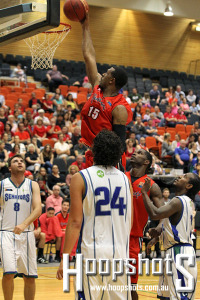 Fellow Perth import Ray Turner offered Brown great support finishing with 24 points, 14 rebounds and five blocked shots. Adam Johnston added 15 points and four rebounds off the bench with Joel Wagner dishing out nine assists to go with five rebounds and two points. Ben Smith also finished with seven points, eight assists and five rebounds. Jordan Swing did all he could for the Lightning finishing the game with 33 points, 12 rebounds, six assists and five steals with Luke Thomas adding 20 points, six boards and five assists. Lakeside had plenty of other contributors as well with Corey Martin adding 13 points, eight rebounds and seven assists, Jesse Dixon 13 points, Tom Parkinson 12 and Jarrad Prue six to go with 14 boards and three assists. The final clash of Friday night saw the Cougars record an impressive six-point win over the Hawks at home. Gavin Field led the way for the Cougars with 25 points, eight rebounds, four assists and two blocks. But that is about usual. What was different than last week was the support he received with Najee Lane contributing 23 points, six rebounds and five assists while Eric Milam had 18 points and six boards, and Julian Pesava 18 points off the bench. Ryan Smith top-scored for the Hawks with 29 points to go with eight rebounds while shooting an outstanding 10-of-13 from the field and 4-of-4 from three-point land. Ben Purser again made a strong contribution with 26 points, nine rebounds and five assists with Bryton Hobbs finishing with 22 points, eight boards and five assists. Josh Garlepp contributed 11 points and six boards off the bench with import big man Jason Conrad ending up with 13 points, nine rebounds and four blocked shots.